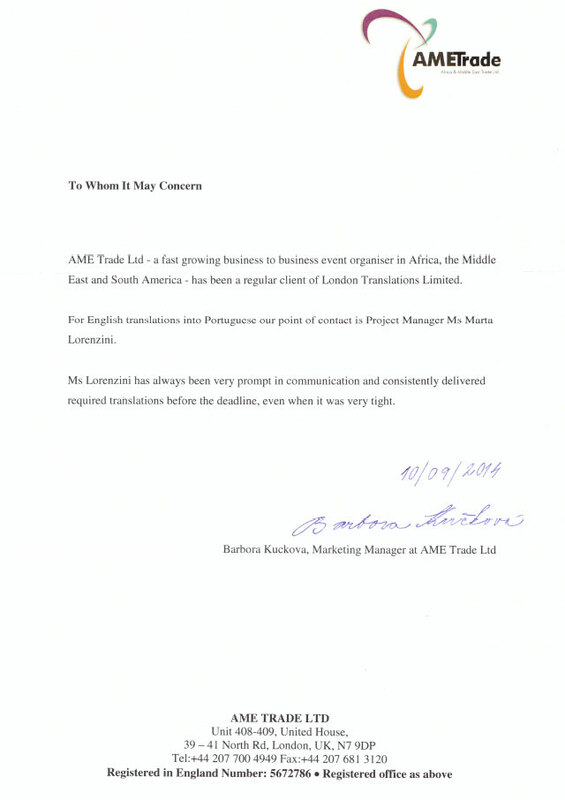 AME Trade Ltd – a fast growing business to business event organiser in Africa, the Middle East and South America – has been a regular client of London Translations Limited. For English translation into Portuguese our point of contact is Project Manager Ms Marta Lorenzini. Ms Lorenzini has always been very prompt in communication and consistently delivered required translations before the deadline, even when it was very tight. This handy independent guide will help you get the best deal on translation services, no matter which language company you choose. Our Swedish agent has just checked through the translation and he said it is excellent. We are also very pleased with the competitive price that you charged us. We needed some website copy translated at very short notice into 12 languages. 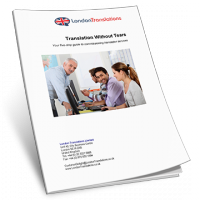 After finding London Translations via a web search we engaged them and were very impressed with the speed and efficiency of the service. The service received has been quick and the quality of the translations good. You're in safe hands with the first UK company to be awarded the British Standard for Translation Service Quality. Members of the Association of Translation companies meaning we're bang up to date with all the latest industry techniques. Solid processes for reliable delivery. Independently audited annually to IS0 9001 standard. We won't let you down. Well connected with the best translators through the European Union of Associations of Translation Companies. Copyright © 2003–2019 London Translations Limited. All Rights Reserved.